Developers and members of the public who are beta testing OS X 10.11 El Capitan can now download the latest pre-release builds of the forthcoming software update on the Mac App Store. Identified as build 15A279b, El Capitan beta 8 is also available through Apple's official developer portal. The software is meant for developers looking to test the operating system, and is not meant to be run as the main partition on a Mac. For members of Apple's public beta program, a new sixth build is also available to download through the Mac App Store. The new betas arrive less than two weeks after the seventh developer beta and fifth public beta were released. El Capitan will be a free upgrade for Mac users. 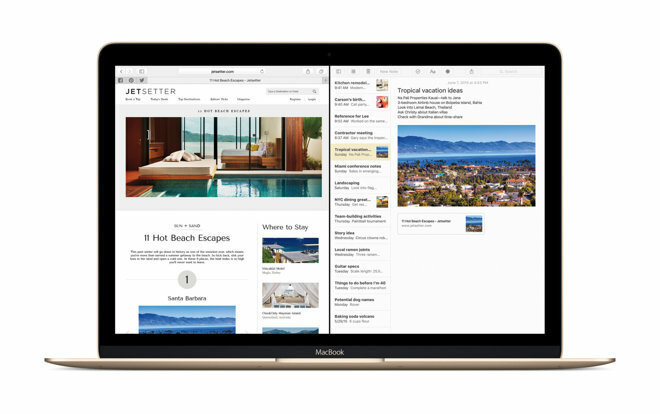 It is portrayed as largely a polish of last year's OS X 10.10 Yosemite, but will gain a handful of key new features like Split View, an enhanced Mission Control, and performance improvements.